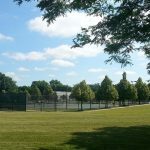 Southfield Civic Center pool, sports arena, parks, and pavilions review, pics, and info. 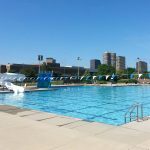 Southfield Municipal Complex Pool and Sports Arena are located in the heart of Southfield, Michigan on Evergreen Rd. 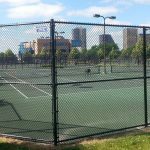 Southfield Municipal Complex houses Southfield City Hall, the Southfield Public Library, 46th District Court, Southfield Sports Arena, Southfield Sports Arena Pool, Miracle League baseball diamond, sports fields, tennis courts, picnic areas, and much more! 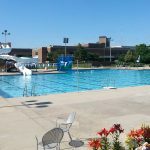 Southfield Civic Center Pool and Sports Arena are maintained by the City of Southfield and its Parks and Recreation Department. 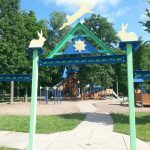 Southfield Parks and Rec Department hosts many family friendly events, recreational sports leagues, swimming lessons, summer camps and more. 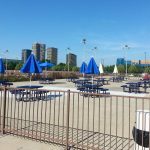 I took a trip to Southfield Municipal Complex to review the pool and ice arena facilities and tour the grounds to extol the amenities the complex provides for kids and families (for both residents and non-residents). Southfield Sports Arena features an Olympic-size pool with a capacity of 800. 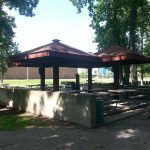 A large patio adorns the gigantic pool making it an ideal place to relax on hot summer days. The lane-swimming / lap-swimming portion of the pool ranges at an average of 4 feet deep. 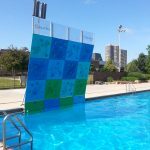 The pool has a “deep end” / 10 feet-deep section of the pool (roped-off) that has a fun aqua climbing wall. 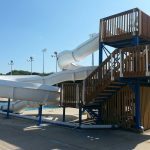 A 120-foot waterslide is near the deep end to provide more aquatic thrills. 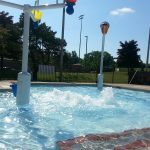 Don’t worry about safety – there are lifeguard stands situated around the entire perimeter of the pool. For less-experienced swimmers, a separate spray pool is nearby. 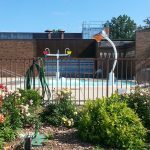 The spray pool is 1 foot deep and has a fun bubbler that stirs up the water like a jacuzzi! 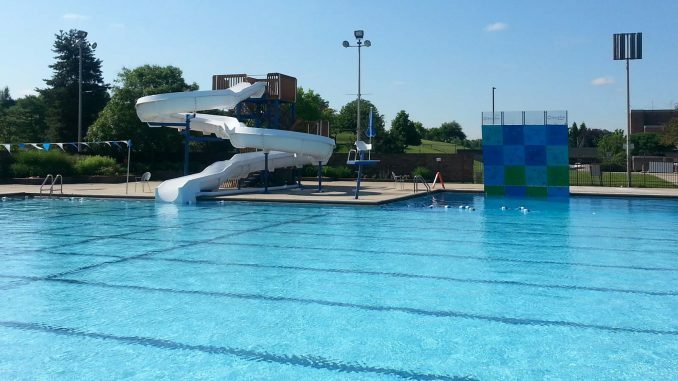 The Southfield Sports Arena pool offers open swim during the summer months Mondays through Saturdays from 12:30-6p. 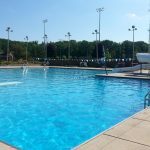 Open Swim or “General Swim” is very affordable (call for current prices) (add a dollar to each for non-residents of Southfield). The attached Southfield Sports Arena even has its own Little Caesar’s Pizza so you don’t have to worry about lunch. 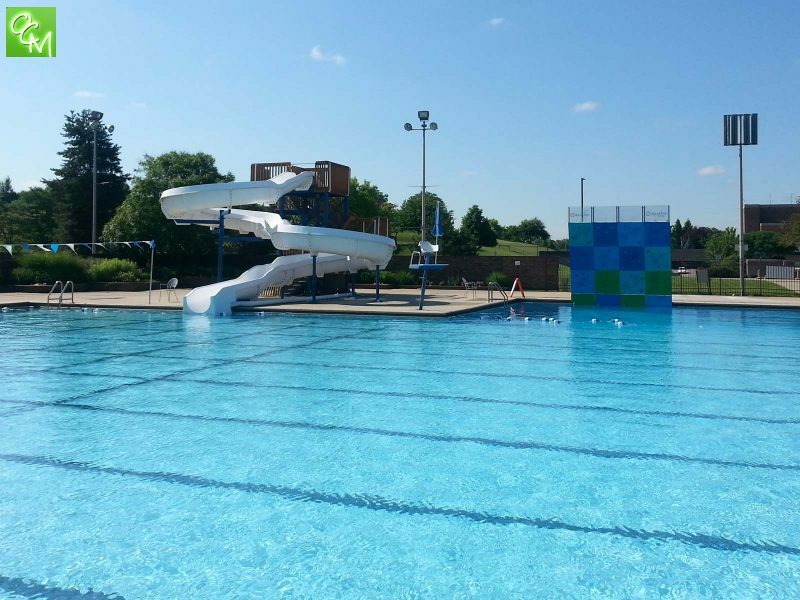 Swimming Lessons at the pool are offered through Southfield Parks and Recreation during summer months and the pool is also available to rent for birthday parties and other events. 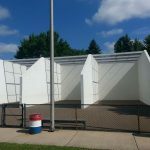 Attached to the Southfield Municipal Complex pool is the Southfield Sports Arena. The Southfield Sports Arena ice rink features indoor ice skating and is home to Little Caesar’s AAA Hockey. 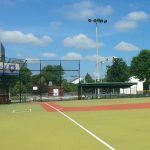 The arena has open ice-skating times (during fall/winter/spring months) and drop-in hockey availability. Call 248-796-4640 to check on available ice times. Skate rental is also available. 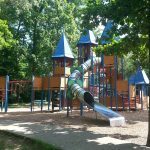 There is plenty of opportunities for free family fun just outside of the pool and sports arena. 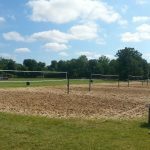 The Southfield Municipal Complex offers shaded picnic areas with BBQ grills, a large playground, sand volleyball courts, sports fields, tennis courts, handball courts and plenty of beautiful scenery! 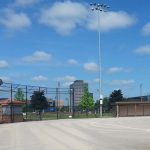 The Southfield Municipal Complex also features a special baseball diamond for Miracle League of Michigan Baseball – an organization that provides children with special needs an opportunity to play organized baseball. 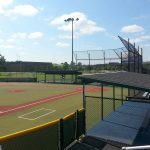 Complete with a padded field, this wheelchair friendly field is a shining example of the variety of diverse activities that can be found at the complex. 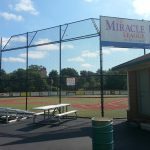 (see pics for the Miracle League Baseball Field at the Southfield Municipal Complex.